I visited the Northwest Treasures booth at the Texas Home School Coalition convention about 2 years ago. I talked with the owner, Patrick Nurre, about fossils and other geeky science stuff that I like. He talked to me about geology and dinosaurs with a passion - and from a Christian worldview! It was a refreshing and educational conversation for me. 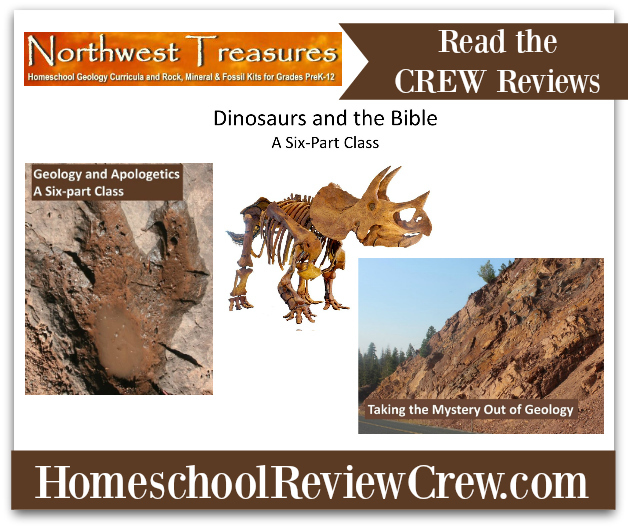 So I was delighted when the Homeschool Review Crew offered us the opportunity to review an online class from Northwest Treasures. 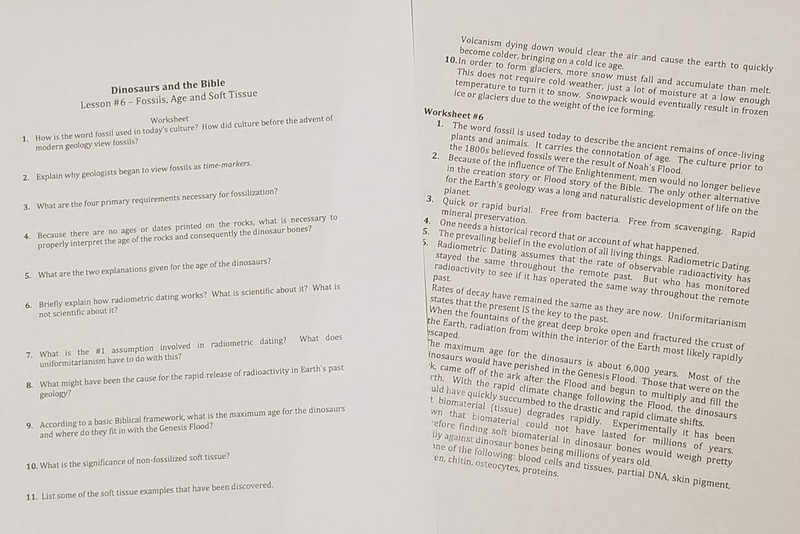 For the review, we received access to the online class Dinosaurs and the Bible and the video, Taking the Mystery Out of Geology. Northwest Treasures offers many online classes and videos. 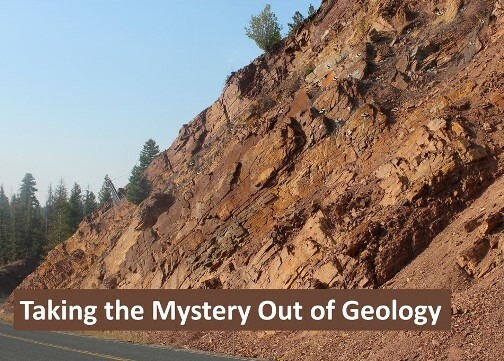 Taking the Mystery Out of Geology is a great place to start. It is a 20 minute video that explains the meaning of 13 important terms used in geology. 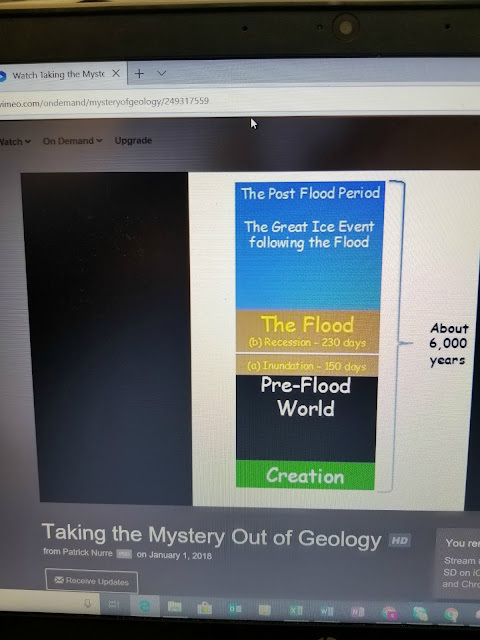 We found it to be helpful to have viewed this video before taking our class because it explained in detail some of the concepts mentioned in the class such as orogeny and uniformitarianism. The video, as is all of the products by Northwest Treasures, discusses secular beliefs but presents the material from a Christian, young Earth perspective with Genesis 1:1 as the description for the foundation of our Earth, "In the beginning, God created the heavens and the earth." 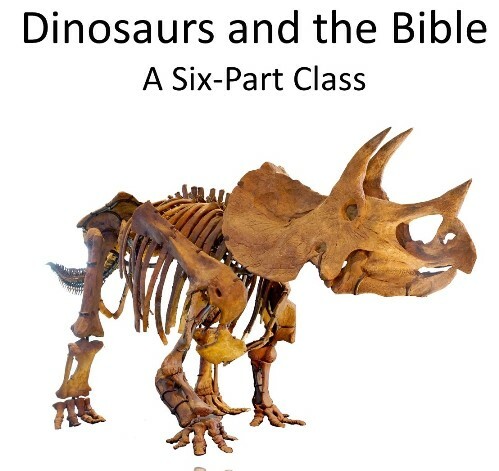 Next we dove into the six part class called Dinosaurs and the Bible. It is intended for grades 5 and up. I had both of my children watch these videos together with me. Rachel is in fourth grade and Nicholas is in ninth grade. Nicholas really enjoyed the videos and he commented and chuckled at times through the videos. I know Rachel is younger than the suggested age but I wanted her to watch the videos too because she understands a lot about geology and she really wanted to be a part of the class too. However, it was definitely above her level in both the content and the lecture-style of the presentation. Each class consists of a video ranging from 16 to 21 minutes long. 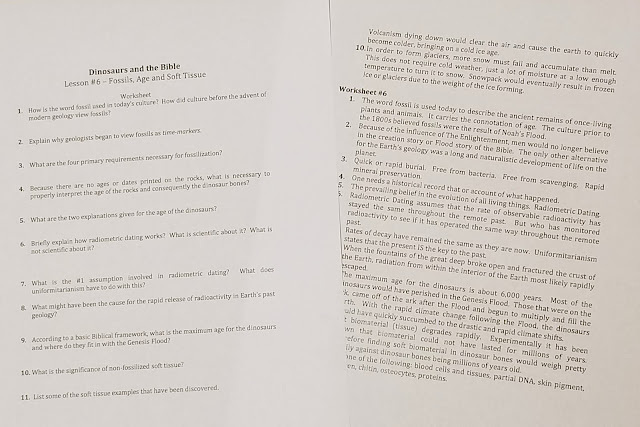 With each video there is a corresponding worksheet that you can print and have your student complete to demonstrate that they have learned. I printed these but decided to use them as discussion questions for the three of us to talk about after each video. I appreciated having the teacher guide to go along with the worksheets. There is a also a final test that you can print as well. The videos are all streamed on Vimeo which you can view from a computer or through an app on your tablet or smartphone. Taking the Mystery Out of Geology is a 3-month rental for $5.00. The Dinosaurs and the Bible class is a 6-month rental for $19.99. 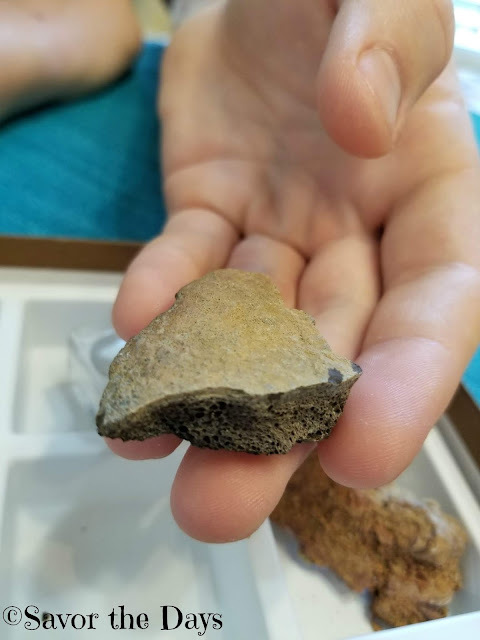 Nicholas' favorite fossil in the kit is the piece of a Triceratops frill bone. He couldn't believe he was actually holding a piece of a dinosaur. How cool is that?!! 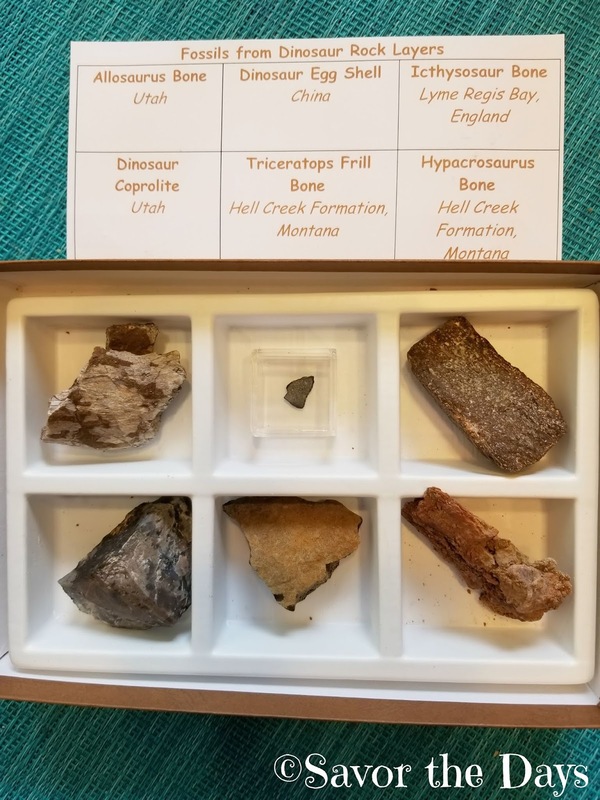 If you are interested in geology including dinosaurs, fossils, volcanoes, and more then I encourage you to take a look at some of the other products offered by Northwest Treasures. They also offer rock tumblers and even field trips! 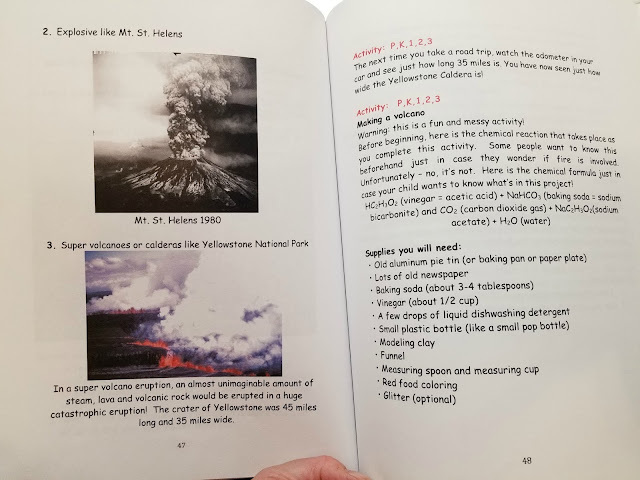 When I spoke to Mr. Nurre at the Texas Home School Coalition convention a few years ago, we were going to be studying volcanoes and I purchased Volcanoes for Little Eyes to use with Rachel. It is a great book full of in-depth yet easy-to-understand information, color pictures and fun activities like building a volcano!